John directs the Accounting and Auditing Department at SFW Partners. He has over 25 years of experience in audit, review, and compilation engagements as well as corporate and individual taxation. His areas of specialty include construction, distribution, professional services, manufacturing, wholesaling, employee benefit plans, restaurants, retail, and leasing/finance. Additionally, John has extensive experience in the areas of merger and acquisition, litigation support, business valuation, and bankruptcy. John serves on the Accounting & Auditing Standards Committee and the Construction Industry Task Force of AGN International, a worldwide association of accounting firms. Through this association, John has consulted nationwide on issues regarding generally accepted accounting principles as well as financial statement presentation issues. 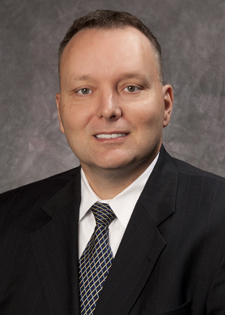 John graduated with honors from Northeast Missouri State University (now Truman State University) in 1988 where he obtained a Bachelor of Science degree in Accounting. He is a member of the American Institute of Certified Public Accountants and the Missouri Society of Certified Public Accountants.